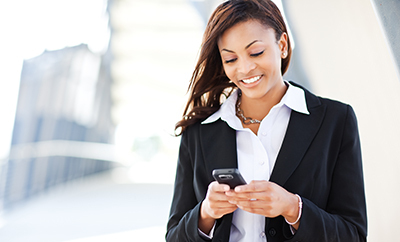 1Staff provides a very flexible SMS capability, allowing your team to quickly contact a candidate to determine interest in a position or to schedule an interview. In this video example, a message is being sent using a ‘Text Candidate’ button, within 1Staff. 1Staff text messages are bi-directional and multi-threaded; meaning, you can send messages which the candidate can reply to. You can use this response to then automate further actions without custom programming. This is all accomplished through configuration, not custom programming. For additional content on how SMS Messaging can be leveraged, explore how 1Staff can get a candidate from Portal to Assignment. This message could also be delivered through a number of different methods such as, automatic messaging to candidates who have opted-in for text and are interested in late notice opportunities. You may even send multiple messages to the same contact and 1Staff will know which job, or quality survey, they are responding to. As illustrated, the Unified Interface delivers enhancements to the Dynamics 365 platform. Powerful features like touch-less recruiting, compliance and on-boarding are made available through 1Staff which includes recruiting, on-boarding, messaging and a full CRM. In the upcoming series of posts we will continue to explore the advanced features that will continue to help your team be the first to submit!